It seems like a miracle that Damien Chazelle could make a modern-day musical. Here's six secrets to his success. Oscar contenders can be the auteur, the veteran, the journeyman who’s elevated his craft. However, perhaps the most exciting breed is the Breakout, and that’s Damien Chazelle. He’s not a rookie. His second feature, “Whiplash” (Sony Pictures Classics), scored a shocking five nominations including Best Picture, Adapted Screenplay (from his short), Editing, Sound Mixing, and a win for Supporting Actor J.K. Simmons. However, following that breakout success is often a tall order for young directors, whose celebration is often followed by a morass of dealmaking and development hell. That wasn’t Chazelle’s fate. 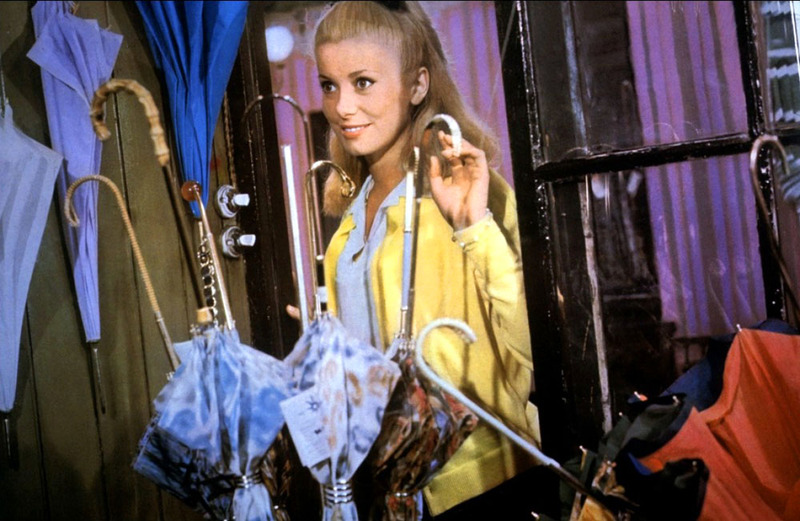 With critically hailed fall festival hit “La La Land” (Lionsgate, December 9), Chazelle magically modernizes the colorful swirl of Jacques Demy French song-and-dance musicals “The Umbrellas of Cherbourg” and “Les Desmoiselles de Rochefort” along with backstage showbiz romantic musicals such as “New York, New York” or Gene Kelly-starrer “Singin’ in the Rain.” In “La La Land,” Chazelle plants lamp posts everywhere. Like Tarantino, Chazelle is that rare, obsessively gifted writer-director who intuits how to merge past and present in a believable way. And in this annus horribilis, his escapist reverie is a very pleasant way to spend your time. It’s already racking up awards. In a weak year for Best Picture Oscar contenders (if not for actors), “La La Land” stands out as a beacon of vibrant color and romance against a field of grimmer, smaller-scale rivals. 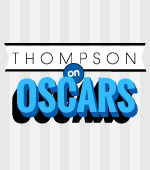 Like Oscar winners “The Artist,” “All That Jazz,” and “Birdman,” it’s utterly relatable to one key demo: The Academy. The question is whether the zeitgeist will inspire a different kind of statement this year. How did Chazelle skip the post-Oscar curse? By following his own advice in “La La Land,” below. 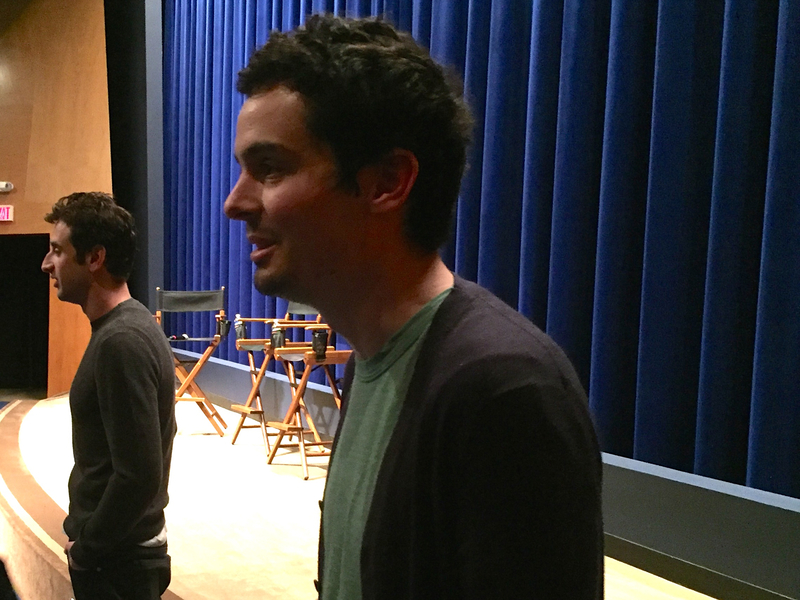 Even after “Whiplash” turned him into a hot filmmaker, Chazelle kept his eyes on his own goals. He maintained a monk-like focus and intensity, which was shared by his composer, collaborator, and chum, fellow Harvard grad Justin Hurwitz. They’d been through this before, only from the other side: After they ditched their freshman-year rock band (jazzman Chazelle on drums, classicist Hurwitz on keyboards) to make movies, they saw their cohorts sign with Interscope. Did they miss their one chance at the brass ring? They kept moving ahead. Film student Chazelle got school credit for his thesis movie, black-and-white jazzy Nouvelle Vague musical homage “Guy and Madeline on a Park Bench” (2010, Variance Films), although music major Hurwitz did not. And so the duo went forward with the easier-to-sell “Whiplash” feature instead. And when Hurwitz ended up composing more of an original score when their budget didn’t allow them to license more than two jazz songs, he and Chazelle learned many valuable lessons about how to make a movie with music. They sold “Whiplash” to Sony Pictures Classics on Sundance opening night. Lionsgate raised overseas financing and brought on veteran musical producer Marc Platt (“Into the Woods,” “Wicked”) and producer-investor Gary Gilbert (“The Kids are All Right”) to shepherd the movie. 3. Pick the right collaborators. After casting conversations broke down with Chazelle’s first picks, “Whiplash” star Miles Teller and Emma Watson, the budget climbed past $30 million when Chazelle “cast up” with three-time romantic leads Ryan Gosling and Emma Stone, who sang in her breakout movie, “Easy A.” It was as close to the Astaire-Rogers star chemistry as he could get. 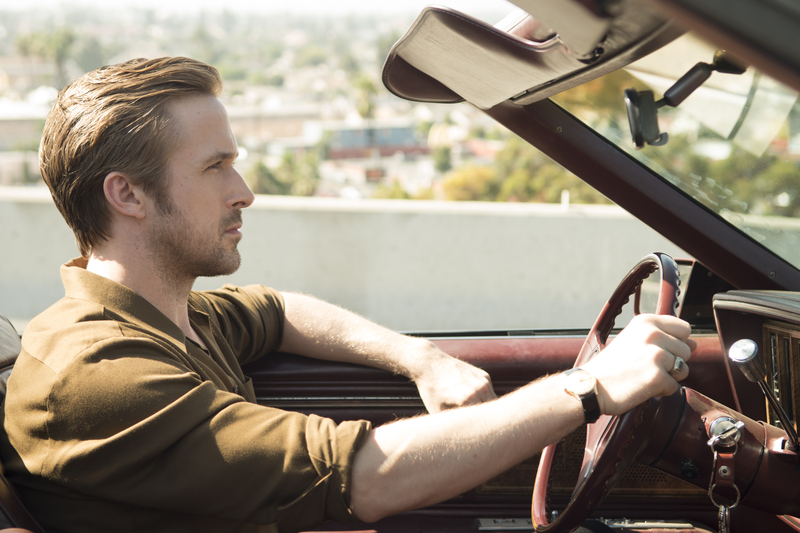 When Gosling, who played rock piano and guitar in the 2009 band Dead Man’s Bones, learned that Chazelle was finally making that musical he had been talking about, he was in. Chazelle checked out and met with Stone during her Broadway run in “Cabaret.” After signing his stars, Chazelle marveled at the degree to which both actors were willing to prepare, almost competitively, as they learned to ballroom and tap dance with choreographer Mandy Moore (who was well-versed in classic movie dancing), and to sing their songs in a believable, conversational, naturalistic way. Gosling also had to play jazz piano well enough to sustain a long uninterrupted take (Chazelle assumed he would have to use a double). But his actor pulled it off. 4. Make hummable original music. But while the scene looks like a single fluid camera move, Stone sings through precisely timed lighting effects, a floating table, and scene changes happening around her. After the two leads, John Legend was the first person cast, as Sebastian’s bandleader. Chazelle wanted a real musician, someone who could bring all that authenticity to bear. After he met Legend casually on the “Whiplash” promo circuit, he gave him the script. 5. Update and modernize old tropes — with love. One of the themes of “La La Land” is that depressive Sebastian — as his bandleader lectures him — is too wedded to the past, to classic old jazz, unwilling to break away and make it his own. Barrista-actress Mia (Stone) helps him to grow up, find his own voice, and embrace and realize his future. He does the same for her. Having obsessively studied and deconstructed musicals, Chazelle likes to toy with a cinema language that few filmmakers of his generation even know. (He did shoot the movie the old-fashioned way: in 35mm.) First, he knocked the audience out of any comfort zone by blasting them with a 100-dancer production number, “Another Day of Sun,” which he achieved by shutting down an elevated EZ pass ramp over the 105 freeway one weekend and filling it with cars. That sets the bar for what to expect. And then he cut the sequence, along with the overture over the opening credits, for months. Then they put “Another Day of Sun” back. “It’s the only number that’s not story dependent or story pushing,” said Chazelle, “that doesn’t involve our leads directly. So it was easily cuttable. But the idea behind it was to not just introduce you to the city and set the tone, but I liked letting you know, right away, what the maximalist version was, how far we could go, what we’re capable of. Then you’re allowed to escape the theater or settle in. 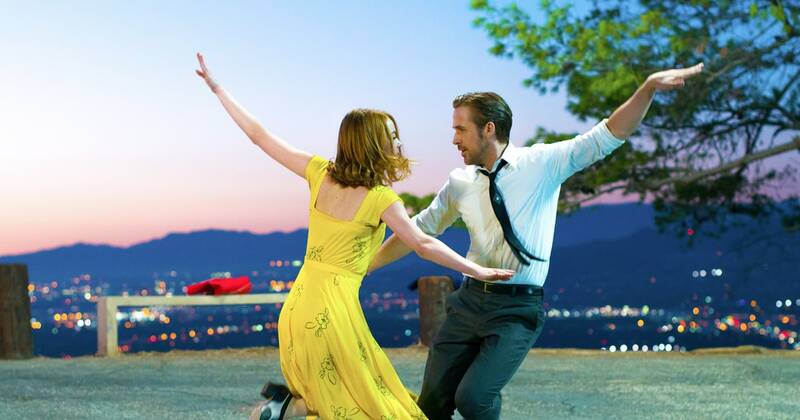 For the hilltop dancing duet inspired by “Isn’t It a Lovely Day?”, a routine that Astaire and Rogers memorialized in “Top Hat,” Chazelle set himself a tall order: shooting a single six-minute camera crane move at sunset on steep Mulholland Drive — with a jarring cellphone ring. The actors rehearsed for 2 1/2 months, lip synching and live dancing to their pre-recorded song. They then rehearsed on the location and shot about five takes at magic hour over two nights. 6. Be smart about authentic branding. 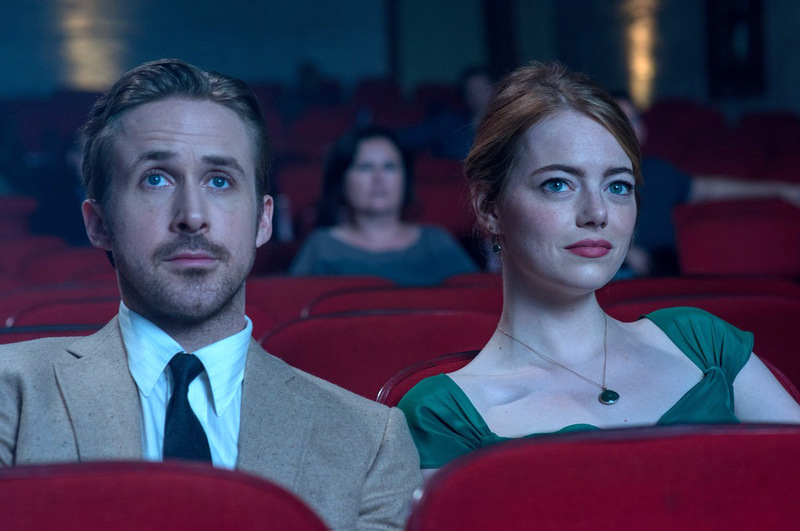 Lionsgate and its awards campaigners have played their hand well with “La La Land,” launching it at Venice, Telluride, and Toronto and then holding back screenings to create want-to-see. The official Academy screening is still to come. They wouldn’t give screening prints to anyone in Hollywood, which forced Barbra Streisand to attend the film’s first Academy party at the London Hotel, protected in a room guarded by host Eddie Redmayne and producer Marc Platt, who waved me in to hear Streisand tell me how much she loved the movie. That’s high cred from a tough lady. Their awards swag is a gorgeous Taschen coffee table book, “Los Angeles,” with an added “La La Land” sheer cover.